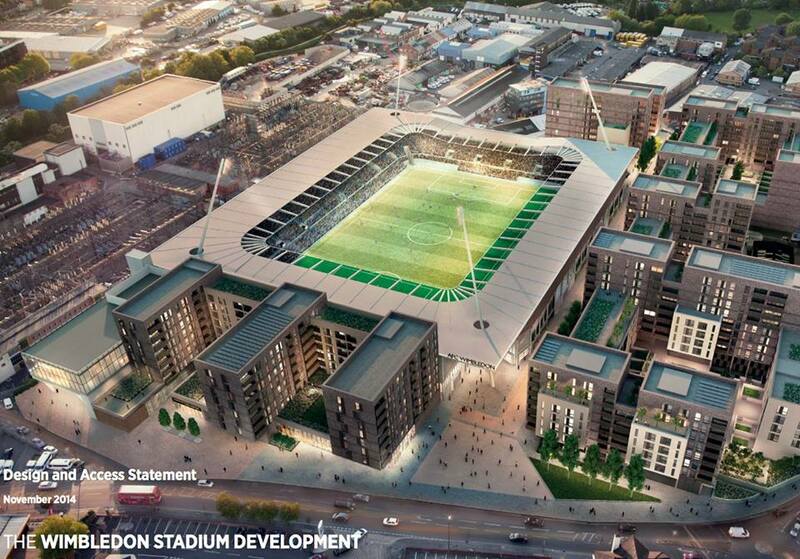 The BTDH campaign advises supporters to wait before writing to the Mayor in support of the Plough Lane Stadium planning application. The next stage of the Plough Lane planning application will be a new hearing chaired by the Mayor of London – date to be confirmed. As the club and press have reported, the current Mayor, Boris Johnson, went against the recommendation of the GLA planning advisors and decided to “call in” the application for his consideration, conveying this decision to the club and Galliards with a letter that somewhat bafflingly concluded with the the GLA planners’ professional opinion that “there are no sound reasons for the Mayor to intervene”. This means that the Mayor himself now acts as the planning authority on the application in lieu of Merton. This is the first time the Mayor has ever called in a planning application that was previously approved by a council. As far as BTDH can tell from perusing the City Hall website, Mr Johnson’s previous call-ins have resulted in the Mayor’s hearings overturning a negative decision from a council in favour of various developers and applicants. Last month Mr Johnson was happy to ratify Tottenham Hotspur’s stadium application, which had only passed by a majority 8-2 verdict of Haringey’s planning committee. He said of that decision, “The stadium will also be the focal point of a major drive to regenerate Tottenham, breathing new life into the area, creating jobs and boosting growth.” BTDH supporters will recall that AFC Wimbledon’s application in conjunction with Galliard to create a community stadium in SW19 to regenerate a rundown area was previously approved unanimously by a cross-party group of 10 on Merton’s planning committee. Now we are waiting to hear whether because of his apparent great personal interest in the application, Mr Johnson might want to hold the hearing before the election (when he will be standing down as Mayor to concentrate on his other political aspirations). Because he is not standing as a candidate in the Mayoral election apparently there will be no purdah period during which he would be barred from performing this duty. The Mayoral election is on 5 May so obviously a meeting under Mr Johnson’s scrutiny could only take place before this date. Should Mr Johnson not find time to chair the meeting, then the hearing will be in July. Clearly we do not yet know who his successor will be, but the most likely candidates to win the post are Sadiq Khan and Zac Goldsmith. 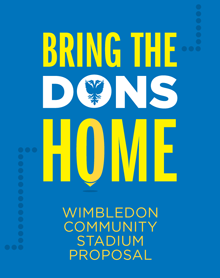 At the moment we therefore advise Wimbledon fans and supporters of the planning application to do nothing as yet. We are working to ascertain the exact format of the mayoral hearing and to understand whether statements in support of the application should concentrate solely on repeating the merits of the planning case itself or whether they should also include wider considerations on a London-wide basis and comments on the Mayoral involvement. We will advise on this as soon as we are able. We will also update the timetable of action once we know when the meeting will be held and whether it will be under this Mayor or the next one. We do know that submissions should be made by email to the Mayor before the meeting. In the meantime, it probably goes without saying that notwithstanding the understandable dismay among many supporters of the application at this surprising personal political intervention, it would be best if everyone who wants to see the BTDH campaign achieve a final success follows the old maxim “if you can’t say anything nice, say nothing” and refrains from writing to the current Mayor before full details of the consultation process are updated via club and BTDH channels. Some background reading on Mr Johnson’s intervention and the powers the Mayor can wield over planning decisions can be found on the City Hall website.